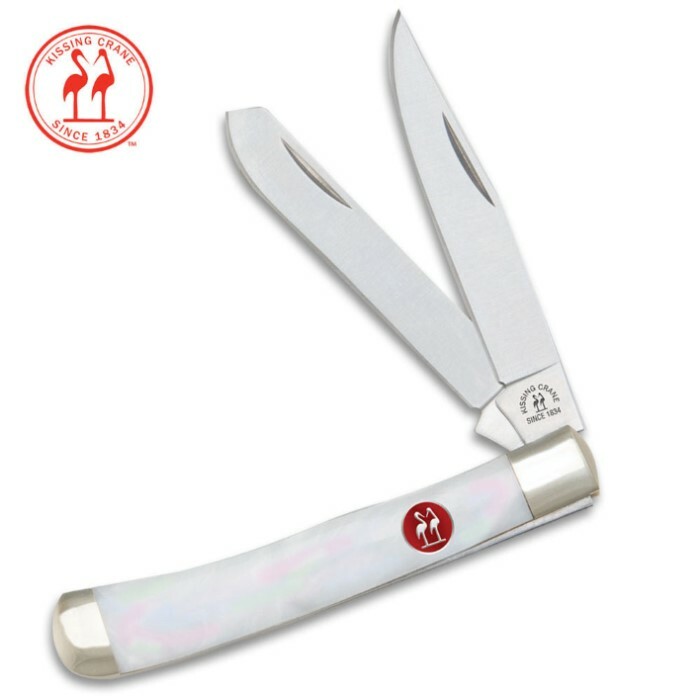 Kissing Crane Real Pearl Peanut Folding Knife | BUDK.com - Knives & Swords At The Lowest Prices! - Nickel silver bolsters and pins. - Genuine pearl handle scales. - AUS-8 stainless steel blades. - Kissing Crane emblem on handle. - Kissing Crane, KC8219.